Nationalism (“we are superior to our neighbors”) eclipsed democracy, liberty, equality, and religious “golden lies.” To paraphrase Jonathan Swift, nationalism flies, and democracy, liberty, and equality come limping after them. The Model 3 was supposed to be Tesla’s secret weapon in the car market, but fans are panicking after it disappeared from the company’s website, Electrek’s Fred Lambert reports. It was this base Model 3 with a standard battery pack that was supposed to be Tesla’s “secret weapon” on the car market, the affordable luxury electric vehicle that would solidify and boost Tesla’s dominance in its niche market and spread it over into the mainstream car market. However, this might have to wait. BREAKING: US Coast Guard officer arrested with weapons and alleged list of Democrats to attack, including Speaker Pelosi, Alexandria Ocasio-Cortez and Kamala Harris. President Yoweri Museveni to seek re-election for a 6th term after NRM endorses his candidacy in 2021. UNITED KINGDOM: Sir Jim Ratcliffe, the UK’s wealthiest person and a Brexit supporter, is relocating to Monaco to save billions of Pounds in tax. TANZANIA: Country imprisons Yang Fenglan, a Chinese woman known as the ‘Ivory Queen’, for smuggling millions of dollars worth of tusks taken from 400 elephants. US SENATOR Bernie Sanders announces he is running for president again in 2020. FRANCE President Emmanuel Macron to make State visit to Kenya in mid-March, Ambassador to Kenya Kuster-Menager confirms. The Republic of Macedonia changes its name to the Republic of North Macedonia as the Prespa agreement takes effect, ending a 27-year naming dispute with Greece. In an American trial, Mexican drug lord Joaquín “El Chapo” Guzmán is found guilty of ten criminal charges, including one mandating life imprisonment. India will look into commercial considerations and related factors to determine the value of oil imports from any country, an Indian official said, after a top US official warned countries against buying oil from Venezuela. Earlier this week, U.S. National Security Advisor John Bolton warned countries and companies against buying crude oil from Venezuela, after the Latin American country’s Oil Minister Manuel Quevedo said during a surprise visit to India that Venezuela wants to sell more oil to the fast-growing Indian market. Germany plans an insect protection law to slash use of pesticides and pump tens of millions of euros into research, the country’s environment minister says, as global concern grows over mankind’s impact on the crucial invertebrates. BREAKING: France and Saudi Arabia reach deal to jointly produce naval vessels and submarines inside Saudi Arabia. Nigeria’s presidential & parliamentary elections postponed to next Saturday, Electoral Commission cites logistical challenges. TRIBUNAL ORDERS arrest of suspended Nigerian Chief Justice Walter Onnoghen who is accused of failing to fully declare his wealth. BREAKING: Germany has arrested Syrian intelligence officers who allegedly oversaw torture of anti-regime protesters at a Damascus prison. 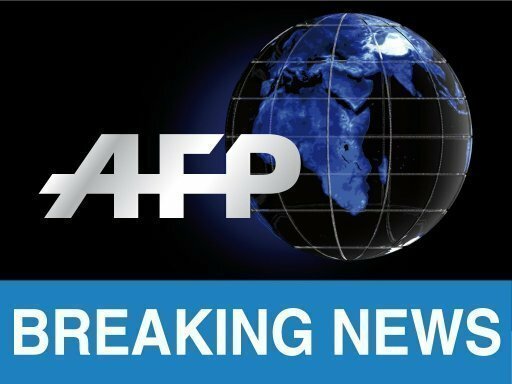 BREAKING: Australia’s government loses key parliamentary vote over medical transfer of asylum seekers, in first such loss for a government in over 90 years. JUST IN: Gordan Banks, England’s and Chelsea goalkeeper during 1966 World Cup triumph, has died aged 81. RUSSIA: State of Emergency declared in region of northern Russia where over fifty polar bears have invaded a town, including its public buildings and homes. US forces conduct airstrikes in the last 48 hours in Gandarshe, Somalia, kill 18 Al-Shabaab militants. OFFICIAL: Police have identified a body found on crashed aeroplane as Emiliano Sala. RIP. Burkina Faso forces kill 146 jihadists in three counterattack operation following yesterday’s killing of 14 civilians. GOVT considers charging airing levy for ads filmed out of Kenya; move to protect local industry, CS Joe Mucheru says. BREAKING: Air Accidents Investigation Branch says underwater video footage shows one occupant visible in wreckage of plane carrying Emiliano Sala. BREAKING: Body found in the wreckage of the plane in which footballer Emiliano Sala was flying in. UK, SPAIN, Denmark and Sweden recognise opposition leader Juan Guaido as interim president of Venezuela after Maduro rejects snap poll deadline. #breaking POWERFUL EXPLOSION rocks Hamarweyne market in Mogadishu; Somalia police say area of blast is densely populated. US SENDS additional 3,750 troops to its frontier with Mexico as President Donald Trump doubles down on call for a wall to boost border security. ICC ORDERS conditional release of ex-Ivory Coast leader Laurent Gbagbo after he was cleared last month on charges of crimes against humanity. JUST IN: Sudan re-opens its border with Eritrea, a year after its closure. #UPDATE Growth in the eurozone slowed sharply to 1.8 percent in 2018, data shows, as a recovery ran out of steam on worries over the US-China trade war and Brexit. 🇮🇳 Twenty-eight dockyards near the Buriganga foreshore have been in operation for the last 50 years without any authorisation or guidelines, polluting the river and encroaching into the riverbank, reducing its navigability. Why should the media push for “Regulation or Bloggers?” And what does that even mean? Bloggers should self regulate and anyone pushing for their regulation simply wants Bloggers to be gagged and silenced. Personally, I have 16 cases in court: 7 Criminal ( government prosecuting me ) and 9 civil from individuals and some corporates. There is nothing like regulating bloggers, that is the unconstitutional cyber crime law being pushed through the backdoor. Some of these journalists pushing for the regulation of bloggers don’t even know how it is hard to grow a following by being independent. Most of them are swimming under the wave of media houses they work for. So if anyone had an issues with a specific blogger, go to court and follow the available channels. This regulation of bloggers debate is only about trying to control them!